An experiential animal clinic that embraces hands-on, Learn by Doing for students at all stages of their undergraduate education, with large flexible lab spaces to accommodate live animals as well as traditional wet lab uses. 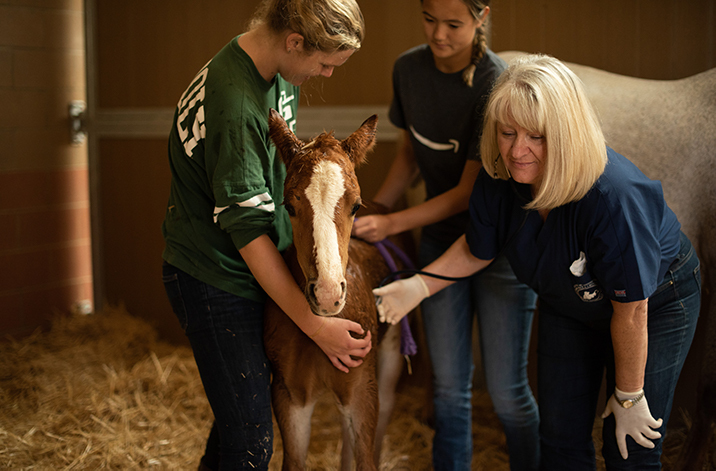 Spaces for small groups of students to examine, treat and care for animals under the supervision of our veterinary faculty and staff. Areas where animals can be housed and treated safely and comfortably. An interactive space equipped with both conventional and advanced veterinary equipment for students to use as they develop their passion for animal health. In addition, a mobile ambulatory component will expose students to livestock practices and encourage them to consider a career in animal care.